Mobile monitoring application is basically a tool that helps individuals to monitor the whereabouts of children, employees or spouses in real time. The application is undetectable and tracks every detail on the activities performed on the smart phone of the suspect. You can easily track real time activities using mobile monitoring applications. Some of the activities that can bemonitored using these applications have been listed below. It’s a natural tendency for every parent to be worried about their children. Parents try to keep a tab of their children’s cell phones to ensure they are not being harassed by strangers. Similarly, every employer wants to monitor the cell phone usage of employees to ensure the employees are not making personal calls extensively. Mobile monitoring application tracks the call history that includes missed or rejected call details. It also tracks the calls made and received by the target cell phone a- includes phone number, call time and date, call duration and the contact name if the number is saved in the phone book. With the help of mobile monitoring application, you can view the full contents of text messages sent and received by the suspect. Soon after the text message is received on the smart phone, the software instantly uploads it in the online account. So, the messages can be retrieved even when the suspect has deleted them from the smart phone. The logs also include the information like phone number, and date and time stamps. Mobile Monitoring applications can help you in GPS location tracking as well. By logging into your mobile monitoring account, you can start tracking the location of your children, spouse, or employees. The application displays all the recently visited locations along with aGoogle map. You can view the GPS location history in detail on the map.You can use this Mobile Tracker app in your own mobile to track it whenever misplaced or stolen. 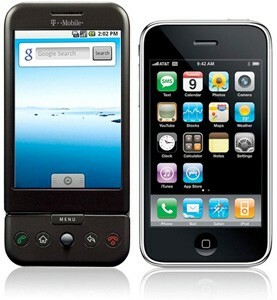 The application records and saves all the inbound and outbound email logs of the target smart phone. You can track the sender and recipient of the email addresses in addition to the subject of the emails. Emails logs are recorded and sent to your online account even ifthe actual emails are deleted from the smart phone as the Mobile Monitoring application does not depend on the phone’s logging. You can view all the images and videos downloaded through the phone’s browser or taken from its camera. Mobile monitoring application alsoshow you the creation date as well as time. The application retrieves the deleted images and videos of the phone meticulously. If you suspect that your kids or employees are visiting inappropriate websites, you can thoroughly monitor the same with the help of mobile monitoring application. This is one of the best ways to check if employees are wasting time browsing non official sites during working hours. In order to view the web pages of the suspect, you simply need to login to your authorized online account through the official website application, and you can view detailed information about the URL’s visited by them. Thus, mobile monitoring application is an effective way to monitor smart phone activities in real time. Mobile Spy, Mobistealth and Flexspy are few of the best mobile monitoring applications that monitor the smart phone activities invisibly; hence the phone user will never get to know about the monitoring. There have always been worrying parents, who If you are always wondering what their kids are up to, what company they hang out with, what places they visit. Then, installing the monitoring application on their phones wouldn’t be a sin, rather a blessing.